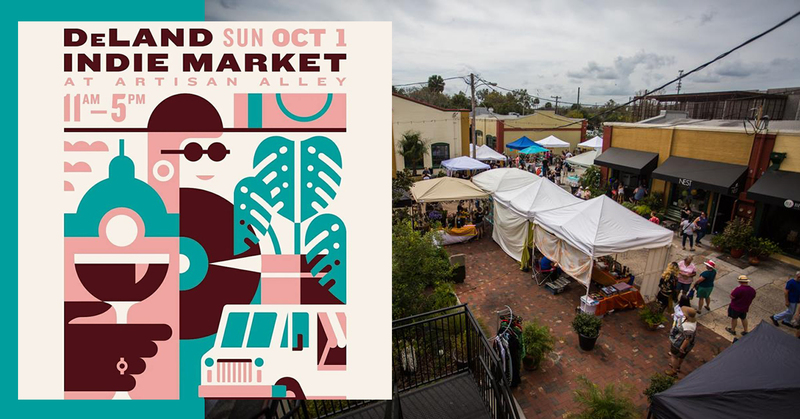 The DeLand Indie Market is a curated event that is held 4 times a year showcasing Artists, Boutiques, Vintage and Handcrafted Vendors. They have great food and live music in the Courtyard of Cafe DaVinci too! They have Vendors from all over Florida who take part in this event! Come out and see for yourself! Shop Small, Shop Local, Shop Indie!